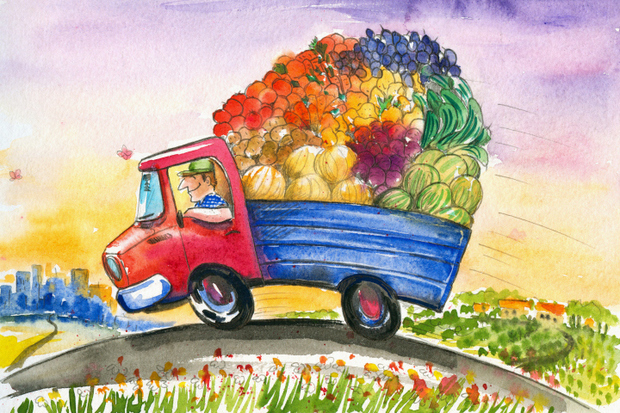 With so many options to choose from, deciding on a food distributor can require some effort. The number of food distributors popping up has only increased, and we want you to know the important factors when choosing your supplier. Although it is tempting to go with the lowest-cost solution, we think you should take into consideration more than just cost when deciding on a food distributor, or food distributors. As market trends favor farm-to-table menus and locally-sourced ingredients, we think you should take advantage of the variety of food vendors in your area. Here are some of our tips to find the best food distributors for your restaurant’s unique needs. – Take advantage of the variety of distributors in your area. 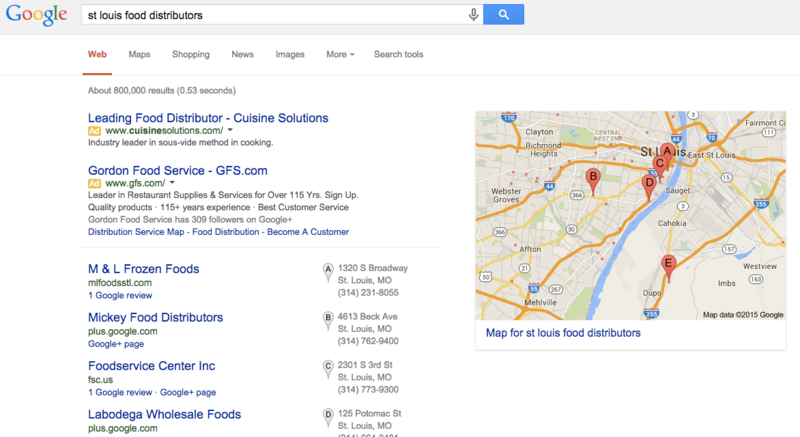 Conduct a simple online search for food distributors in your city, and see all of the options around you. – Ask other restaurant owners which distributors they’ve had success with and who they currently use. – Read the reviews for each distributor and see if their values align with your business goals. You want to work with someone who understands your business and can recommend products that will enhance your menu, ultimately leading to more sales and more orders with your distributor. The relationship between your restaurant and the food distributor is symbiotic, so your distributor should want you to succeed. – Decide if you want to purchase your ingredients from one distributor, or multiple distributors. Some distributors provide food and beverages; some provide a single product like dairy, produce or steaks; some are primary providers that stock everything you need, from produce to paper towels. – Take a look at your menu and write down all of the ingredients you need to make each item. To be economical, the ingredients you use most frequently can be ordered in bulk from a primary provider, along with cleaning supplies and other restaurant necessities. 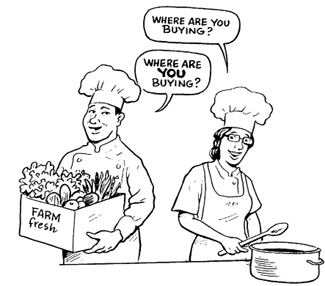 – Compare the prices of food distributors that stock the ingredients you use most frequently. If the distributor doesn’t have an online inventory, request a catalog instead. Shop around and make sure you are getting the best deal, as this will help your bottom line. – Think local. Although it is extremely tempting to go with the distributor that saves you the most, your local food distributors will be much more helpful in the long run. Run out of an ingredient and need it now? A local distributor will be able to restock you much faster than an out-of-town distributor. Buying locally is also good for reputation and loyalty with customers. We are always going to support a business that actively works to better the surrounding community. – If you live in a coastal area, go down to the harbor and look around. The docks are swimming with local seafood vendors that offer extremely fresh and affordable fare. This footwork can help you find a direct source for seafood and fish, a product that is always better when caught fresh that morning. – This idea goes for dairy, meat and produce as well. If your restaurant prides itself on hormone-free, free-range chickens, see if there is a chicken farm in your area that offers this product. Not only will you be buying local and creating a valuable connection with the direct source, you will also gain marketing content. Advertising a chicken dish on your menu with the name of the farm the chicken came from will capture the customers partial to farm-to-table ingredients. – Consider the ethical implications of the food distribution system. By only working with food distributors who are partners of the Fair Food Program, you will be helping to ensure humane wages and working conditions for the workers who pick fruits and vegetables on participating farms. It is possible to have the best of both worlds when deciding if you want to purchase your ingredients from a primary provider or from multiple specialty distributors. Continuously reviewing your menu, inventory and sales, can help you refine your ordering and make educated decisions with regards to your distributors. Do you have any other tips we forgot? Add them in the comments below! The big key is to understand that all businesses are relationships. Food distributors make profit on 2 areas: truck load and cases. Full trucks cost the same fuel as a half empty one, so distributors try to fill each route with as many cases as possible. They get better purchasing deals through the volume of cases they buy. When you can buy more per order from a food distributor you keep their costs down and they in turn can sell to you at a better price. They actually have different pricing for different accounts! The small place that orders only a few cases get what they refer to as "street price". That is the highest margin. Restaurants on a Prime Vendor Agreement negotiate the best price margins in every categories (paper goods, meats, produce) before and find that while pricing may increase due to market fluctuations, they stay steady over the long term. Also, most broad line food service companies pretty much carry the same products and they know it. Leading distributors are adding services like restaurant consulting, training, menu design and engineering. Lately there has even been a shift to consult on social media marketing and partnering with companies like Eateria. Bottom line is that if you form a partnership with a food service company, make sure they also are invested in your success with solutions based services that help you make more profits. All will sell you food, few will help you grow your business!